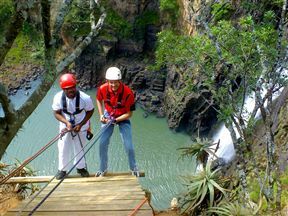 If life has become a little dull, why not walk over the edge and abseil down the second tallest waterfall in South Africa. At the bottom of the thundering 107-metre-high Howick Falls, you plop into an inflatable boat that takes you to the start of an indigenous forest walk. The trail takes you through the Howick Falls Conservancy where you may catch a glimpse of nesting crowned and fish eagles. If you’re quiet you might even spot shy bush buck in the shadows. 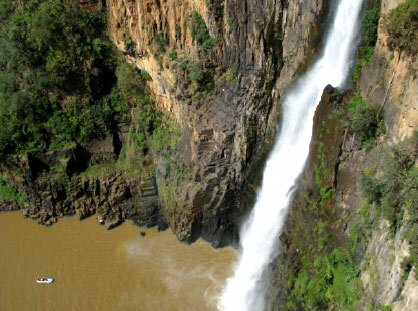 The Zulu name for Howick Falls is KwaNogqaza, meaning Place of the Tall One. According to local teachings, the plunge pool at the bottom is the home of the Inkanyamba, a Loch Ness-type creature. 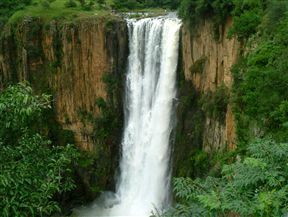 It is believed that only sangomas can safely approach the falls, and only to offer prayers to the Inkanyamba ancestral spirits. 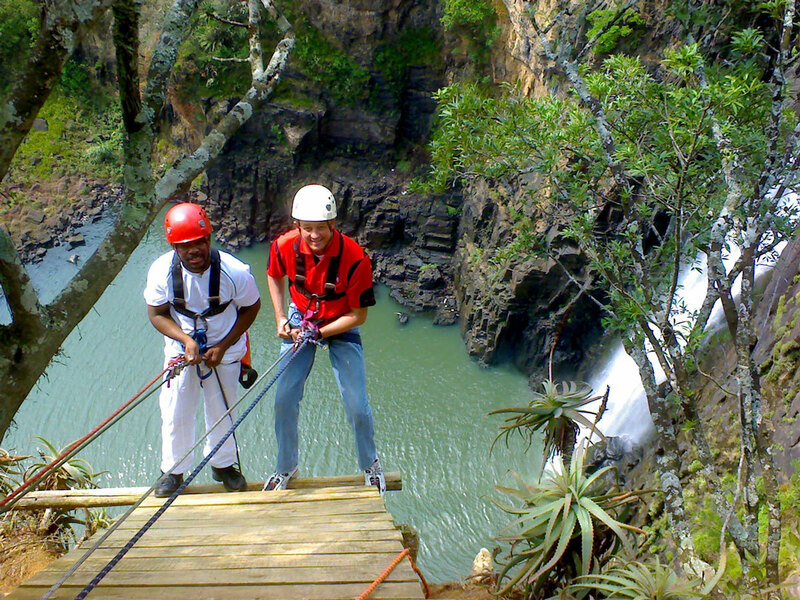 Contact www.spiritofadventure.co.za for abseiling: +27 (0)31 769 1981. What an awesome view needs to have regular cleaning of surrounding area. 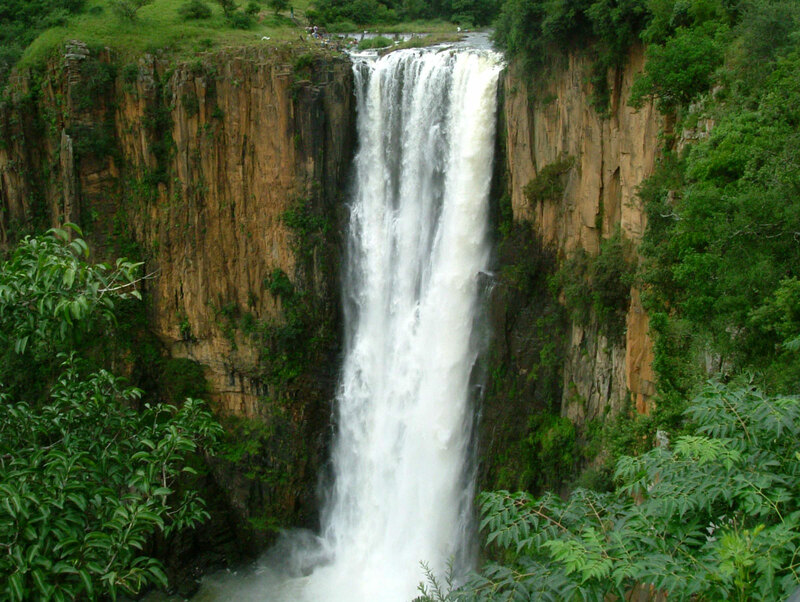 Howick Falls is 1.4km from the centre of Howick , the nearest airport 98.5km (King Shaka International Airport).